Advanced Uninstaller PRO is a program to clean and optimize your Windows system. Its main feature is that it completely uninstall or remove programs. Many programs do not have an uninstaller or the uninstaller do not work properly leaving unnecessary files, temporary files, registry entries, and other components that could interfere the stability of your Windows operating system. 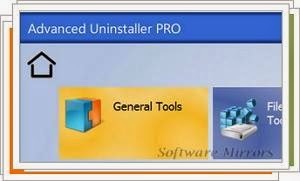 Advanced Uninstaller PRO shows you all the system programs and effectively remove it and also gives you more than 20 tools to perform the tasks. Advanced Uninstaller PRO allows you to easily remove and clean programs history, plug-ins, update packs and other tools.